IT SHOULD not be so surprising that some EPO and USPTO insiders, examiners included, know the limits of their occupation and the downsides of what they do, e.g. passing ‘weapons’ to patent trolls that create nothing but extract millions if not billions of dollars from those who do. Some even told us that, in their view, something like a Wiki in this Internet era (literature in the old sense of the word is dying) would be more suitable for supporting progress or “innovation” (that latter term is favoured among patent merchants). 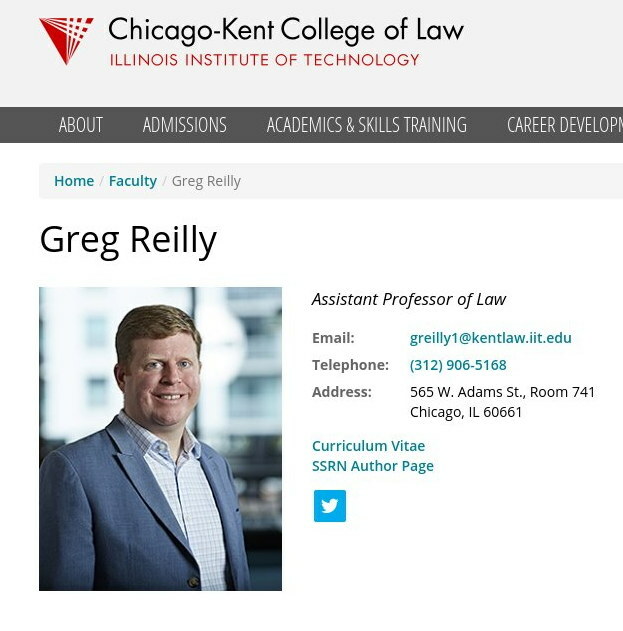 Posted on Sunday (7th of October, 2018) was this new paper from Greg Reilly (IIT Chicago-Kent College of Law). Trying to make patents non-static, realising that many US patent claims are bunk and the patents themselves fake (as affirmed later by courts), is nothing new. It’s already done to a certain extent in several patent offices, with edits made before and after granting, sometimes after Patent Trial and Appeal Board (PTAB) inter partes reviews (IPRs). The abstract says: “Patent claims traditionally have been freely amendable to overcome a finding of unpatentability. For that reason, the Patent Office’s restrictive approach to amendments in new post-issuance review proceedings created by the America Invents Act provoked strident criticism; generated administrative, statutory, and constitutional challenges; and fractured the Federal Circuit. This Article supplies the comprehensive evaluation of the costs and benefits of patent claim amendments, both in examination and post-issuance, surprisingly missing in the literature. “The results are mixed. Amendments in initial examination are less clearly warranted than commonly thought, with the costs – primarily problematic drafting incentives – often overlooked and the benefits often overstated given other tools to protect patentees’ legitimate claim scope. Conversely, post-issuance amendments are more justified than often thought, with competitors’ reliance interests overstated, patentees’ reliance interests understated, and strategic behavior possible on both sides. Resolving the ambiguity in the optimality of claim amendments depends on a normative view of where to place the risk of error – hindering protection and incentives for inventors when warranted amendments are denied or hindering competition and follow-on innovation when unwarranted amendments are allowed. Not too long ago a reader told us that Amazon had modified its more controversial patents. Instead of these patents being thrown out Amazon was given a chance to ‘correct’ these on the go, defeating the whole purpose and essence of the patent system. Should we start editing millions of patents, adding version numbers to each? Or editions (like in books)? It’s absurd. Maybe one should accept that the way things are currently being done is rather antiquated; it’s suitable for the age of libraries, a residue of an era when literal transportation of books was the means of “technology transfers”. Other patents on Orwellian fiction [1, 2] now include “autonomous police car patent,” to quote the former, with the latter being titled “Walmart Patent Wants To Monitor Your Health & Stress Levels While You Shop” (associating patents more and more with oppression).